Are you unhappy with your smile? Unlike other insecurities, teeth are impossible to cover with clothes or cosmetics. From closed-mouth smiles in photographs to avoiding social situations, unhappiness with our teeth can have a significant impact on our day-to-day life, as well as our confidence and emotional wellbeing. With cosmetic dentistry, we can target the areas of your smile that you dislike for a more beautiful smile. With many different options to choose from, it now no longer matters whether your teeth are crooked, decayed, damaged, discolored or affected by a combination of these problems, cosmetic dentistry can now help you to achieve a perfect smile. 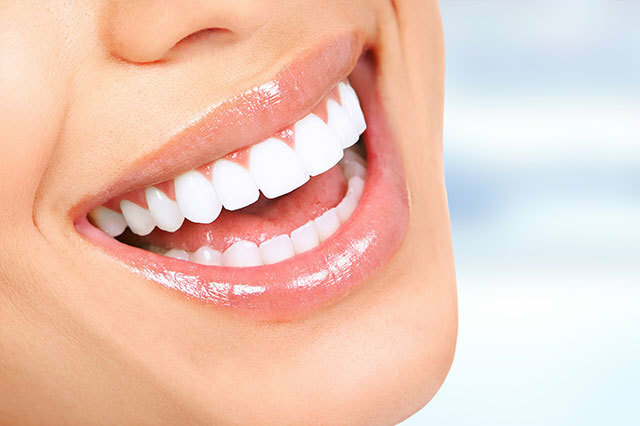 At Casey Family and Cosmetic Dentistry, we offer variety of cosmetic dental treatment in Oakton, VA. Dr. Casey is a skilled cosmetic dental provider of lumineers, veneers, whitening, bonding, inlays and onlays, and more. What cosmetic dentistry procedures can I choose from? The cosmetic dentistry procedure that is right for you will depend on which aspect of your smile that you would like to address. Many patients choose a combination of different procedures, so that they can experience a true smile makeover. We can discuss your cosmetic dental goals, and help you decide the right cosmetic treatments for your smile at your consultation. The single most popular cosmetic dental treatment in the world today is teeth whitening. Teeth whitening is now more affordable and accessible than ever before. Over time, teeth become stained and discolored by the foods that we eat, and the habits that we adopt, such as smoking. However, white teeth are considered to be indicative of health, beauty, and success, so many patients choose to address the color of their smile to reflect these traits. Although there are many products on the market that claim to have whitening abilities, in-office professional whitening has been proven to be more effective and longer lasting. This is largely because we have the tools to safely use a greater concentration of whitening solution in a more controlled manner to deliver more consistent results. If teeth whitening fails to deliver the results that you desire, or if you have small imperfections on the outside of your teeth, you may consider dental veneers. These thin, shell-type covers are made of porcelain, and they can custom-created to your desired shade of whiteness and to fit perfectly to the outside of your teeth. Once in place, they cover any stains or minor imperfections, and close small gaps between the teeth. Securing them is a minimally invasive treatment, requiring a small amount of the natural enamel of your teeth to be filed down, so that the veneers can be attached to the surface using a special, permanent adhesive. One of the most revolutionary cosmetic dental treatments in recent years, dental implants also provide a functional solution for patients who require extraction or have lost teeth due to damage or decay. Dental implants take the form of prosthetic teeth that are secured to your jaw bone via a bio-compatible titanium post. The visible part of the tooth is made from a crown that is color-matched to your existing teeth, making it virtually imperceptible. With the highest success rate of any surgically implanted device, dental implants are now widely available and are a popular alternative to conventional dentures and bridges. If your teeth are unaligned, then you are not alone. Very few people have a naturally perfect bite. Unfortunately, some people have more noticeable bite problems than others. Other patients find that their teeth are simply in the wrong position, being twisted, crooked, or out of alignment in some other way. Orthodontic solutions can address these types of cosmetic dental problems. While severe misalignment and bite problems may require the use of orthodontic braces, other patients may benefit from a treatment program called Invisalign. Invisalign is a series of custom, clear aligners that are worn over the teeth, exerting gentle pressure on the teeth to guide them into the desired position. This revolutionary treatment uses cutting edge technology to map the pathway that your teeth will need to achieve the preferred outcome. Patients who choose Invisalign must make a commitment to following the program exactly to achieve the desired result, but those who do experience great success with this more discreet alternative to conventional braces. Today, our patients no longer have to live with a smile that leaves them feeling less than satisfied with their appearance. Our experienced and knowledgeable cosmetic dentist performs successful smile transformations for patients with a vast array of different dental problems. To find out how we can help you achieve a smile makeover with cosmetic dentistry, call Casey Family and Cosmetic Dentistry today at 703-997-1300.